Within the Surf Life Saving Organisation there are a number of awards which can be attained through training courses. Many of these courses qualify members to perform roles crucial to our patrolling service. 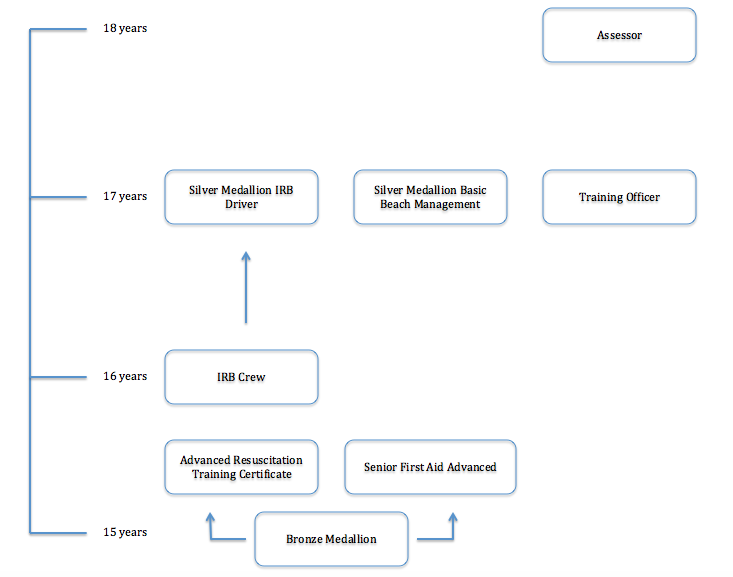 An outline of major awards and the minimum assessable age can be seen below with the Bronze Medallion being a pre-requisite for all awards. For more information on trainable awards visit the SLST website.